The rise of iBeacon technology was one of the major news stories of 2015. Nevertheless, near the end of 2015, many mainstream publications rushed to declare Apple’s iBeacon technology as a fad that couldn’t live up to its hype. This resulted in many business insiders stepping up to give insights on the real state of the beacon industry. Unacast, for example, stated that their latest statistics align well with ABI Research’s forecast of 400 million beacons deployed by 2020. The company recently released its Q4 Proxbook report, revealing a 52% growth in the number of beacons deployed by members in the past quarter – data which indicates that beacons are very much on track to make a major impact on retail. Now, it goes without saying that every new technology will demand time to explore the possibilities and best practices, even when it comes to app development. Today, almost two years after the launch of iBeacon, many developers have begun to realize that a beacon app shouldn’t be developed with the sole purpose of pushing promotional offers to users. A good beacon-enabled app should convey the value offered in return for the personal data that is asked for and must utilize the opportunity provided by bluetooth off states. In this blog we will talk about some of the common mistakes that brands make while adding beacon technology to their app. We will also discuss the best practices our MobStac team falls back on when it comes to developing a successful beacon app. Google joined Apple and Windows on the beacon bandwagon in 2015 by launching Eddystone in their efforts to adopt beacon functionality as a critical part of their operating system. Adding on to that, the average number of sensors per Proximity Service Provider has grown up by 28% from 16,377 in Q3 to 20,916 in Q4 of 2015, indicating that proximity projects are moving from pilot to full commercial deployments. 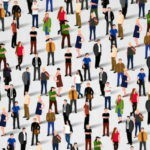 Despite all this growth, beacons are yet to see mass adoption among consumers. One of the primary reasons behind this is the fact that most beacon apps try to sell their features instead of educating users about the value proposition being offered. Thus, these beacon apps fail to convince their users to enable location-services while switching on their bluetooth for beacons to communicate. Given the critical role that onboarding screens play in transforming first time users of your beacon app into valued customers, this is a major problem that has to be addressed at once. 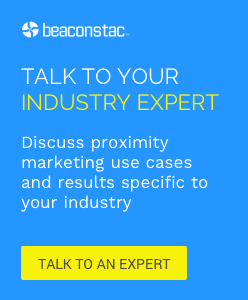 App developers need to focus on explaining the benefits offered by your beacon app, without digging into technical details of how beacons work. If you are able to convey how your app will help users save on time or money, they’ll definitely buy in. A good example of a beacon app that has mastered this is Tile. In order to educate their users on how to turn on the Tile device and start using it, the app uses illustrations which clearly show users how these actions will manifest later. While this is commonly done with micro copy, Tile has customers across the world and therefore didn’t find localized text as a scalable option. Hence the app focuses on illustrations to convey value without the aid of text. (i) It is important to keep your copy simple while conveying your value proposition (offering faster checkouts, in-store navigation, etc.) to your users. Consumers value privacy to a great extent. This is one of the primary reasons why most new technologies often raise a lot of concerns among consumers on their personal data being used maliciously. And beacons are no exception when it comes to this. In fact, the level of detail that information collected through beacon apps can provide on an individual – their location down to a specific aisle and shelf in a supermarket, what they looked at, and what they bought, etc. – makes the privacy settings of such apps a highly sensitive issue. Another interesting survey conducted by Lightspeed GMI revealed that 74% of consumers are happy to share their location data with retailers, while 72% of them fear that brands are not taking adequate steps to ensure the responsible use of the data. Therefore, it is highly critical for beacon apps to be completely transparent about the personal information that users are asked to share and how they can manage it. A beacon app that is doing a great job at building consumer trust by being very transparent with the privacy settings is Facebook with its Place Tips. The app provides users with clear and succinct explanations of the kind of information that Facebook Place Tips is accessing, and allows users to quickly update their privacy settings. This is a good practice as it allows beacon apps to trust their users to make an informed decision based on the value proposition of the app. (i) Ensure that you don’t ask your users for irrelevant data, such as information about the other apps they use, call history, etc., as it could result in you losing out on your consumers’ goodwill and eventually your business. (ii) Give your users the option to opt-out, or change their privacy settings. Another key mistake that many developers make while creating a beacon app is that they lack a clear understanding of beacon background modes – a feature that allows smartphones to constantly scan for beacons, even if the user isn’t actively using the app. This often results in bad user experience as the lack of understanding hinders developers from being able to visualize how users will interact with lock-screen notifications across various devices. Now that we know the problem, let’s first take a look at how various operating systems scan for beacons in the background. In Android devices – Prior to Android 6.0 version, apps can be designed to allow users to scan for beacons in the background when the bluetooth is switched ON and stop scanning once the bluetooth is switched OFF. Since the beacon detection here is directly dependent on the bluetooth access, this could have a huge impact on the device’s battery life. Another important thing to note here is that, Android 6.0 cannot distinguish between iBeacon/Eddystone or any other BLE device and the app developer needs to write the code and put specific filters in place to determine if it’s an iBeacon. To make things a lot easier you can simply employ Beaconstac’s SDK to detect beacons and trigger the rule engine to push contextual push notifications. Also, since this method of ‘background scanning’ is optimized for the OS (operating system) level it doesn’t affect the battery life of the device as much as in the previous case. In iOS devices – With the launch of iOS 7.1, Apple announced a game-changing improvement to iBeacon. Now, once an app is installed, it will “look” for beacons even if the app is shut down or a user has rebooted his/her phone. Thus, iOS 7 devices can now constantly scan for BLE and wake up relevant apps, even if they are closed, when they come within range of a beacon. Another important thing to note here is that Apple provides a nifty lock screen icon for apps that are currently detecting a relevant beacon. This only works for apps that are already downloaded onto the user’s phone. Another important thing to note is that while scanning for beacons in the background, developers can determine proximity (whether it is located in the immediate zone, close zone or far zone ) from beacons and also send OS appropriate lock screen messages. However, they cannot display content outside lock screen notification norms. Examples of violations include launching an application into the foreground without the consent of the user or showing a full screen pop-up. (i) Most beacon apps deliver value to their users when they are run in the foreground. Truth is, the app needs to be active in the foreground to perform ranging i.e calculate distance to beacons in real time. On the other hand, if the app is shut down or is running in the background, it can only keep monitoring for beacon region, that is checking if there are any beacons in range or not. Therefore, when designing a beacon app, you need to thoroughly consider which of these modes will enable your app to best solve the problem you’ve set out to tackle. That users don’t always leave their bluetooth ON is no secret. While many beacon apps present their users with a request to turn the bluetooth ON during the onboarding session, most beacon apps fail to re-engage the user after the initial session. This is a huge mistake – particularly because such bluetooth off states are great opportunities for beacon apps to let these users know what they are missing out on. In other words, if you’re truly providing value to your users using beacons, it’s worth showing unobtrusive empty states and messaging to nudge them to turn their bluetooth ON. (i) Nudge your users to switch ON their Bluetooth by giving them precise explanations on why they need to do so. Are there any other beacon app development best practices that we missed out on. Let us know in the comments below.